New Delhi : Prime Minister Narendra Modi's book is making a huge name and fame in the market. 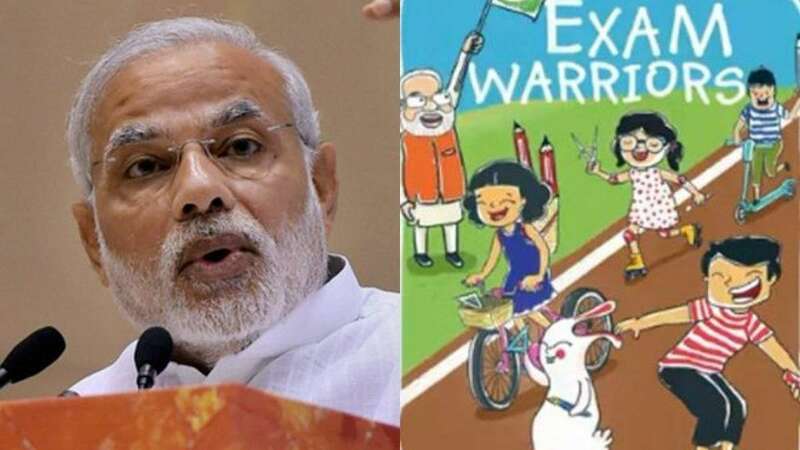 His book Exam Warriors has enjoyed several days as the number one bestseller book on Amazon and continues to grab the attention of children and their parents, too. His book not just offers advice to fight against exam fear but also offers a visual journey which takes the readers on an inspiring tour to exams. For now, Exam Warrior is ready to be released in Urdu language. In the book, Narendra Modi has written about many elementary rules which will possibly help students to beat the exam stress. The Prime Minister has also stressed on the importance of Yoga and its different forms which have a direct impact on one’s focus and concentration. After releasing Exam Warriors in Tamil language, the book will be released in Urdu on September 15 in New Delhi. The book is a compilation of 25 mantras where he advises parents and teachers on how to deal with board exam tension. Earlier in February, this year, India's External Affairs Minister Sushma Swaraj and HRD minister Prakash Javadekar released the book just a few days before the commencement of CBSE board exams. Sources confirmed that the upcoming book release of Exam Warriors in Urdu version will be attended by HRD Minister Prakash Javadekar, Minister of Petroleum and Natural Gas and Skill Development Dharmendra Pradhan, Minister of Textiles Smriti Irani, Bollywood actor Rishi Kapoor, Union Minister for Minority Affairs Mukhtar Abbas Naqvi, Muzaffar Ali, Annu Kapoor and Sirajuddin Qureshi.